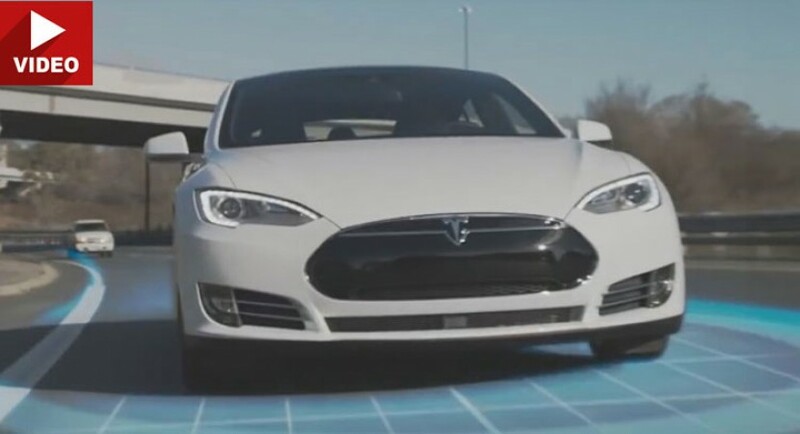 Everybody acknowledged that Tesla Model S is by far the most advanced vehicle from a technological point of view, and a recent video called “Revolutionize your comute”, demonstrates the fact. The video below reveals the plethora of gadgets the Model S has to offer, but it mainly highlights the car`s Autopilot system, which is the most advanced so far. Tesla carmaker also brags the safety systems of its model, stating that it is “designed to keep better over time.” And we surely know that the model does not have any other competitor at the time, except for BMW which is currently working on the new-gen BMW i8. The car`s Autopilot system comes with four modes: Autosteer, Auto Lane Change, Automatic Emergency Steering as well as Side Collision Warning and Autopark mode. First, the Autosteer mode safely keeps the model in lane, maintaining the speed with the help of the Traffic-Aware Cruise Control, but hands must be kept on the wheels when this mode is activated. Next, the Auto Lane Change changes the lane by tapping the turn signal, while the Automatic Emergency Steering and Side Collision Warning modes give you a sing whenever a car or an object is too close to you. With Autopark, as the name suggests, your Tesla S will park itself using the “P” letter on the instrument panel at low speeds when a car park near you is spotted. A rearview camera will guide the car. Under the hood, the Tesla Motor S is also innovative, using a motor displayed at the rear along with a wheel drive system. The electric motor range is set at 335 km (208 miles) or 500 km (310 miles), depending on the S version you choose.